Thank you all for your messages of encouragement. The whole crew of 500 in March could admire the beautiful displays made by Steve 400 days and all the signatures attached thereto at the time I posted in our kitchen. We are now able to recognize the names of much of you! The news of our ship are very good since we have a responsibility in July events. Indeed, half of the crew have a birthday during the summer months! I had the honor of opening the ball and, for the second time since the start of the experiment, my age has been increased by one year. I was 30 when entering the modules and the next birthday I fêterai on « Earth » is one of my 33 years! Sukhrob me closely as his celebrates the day of our National Day: July 14. My third companion to this month old Wang Yue is the 25th of the month. • Diego set up a personalized poster that displays in the kitchen at night. • We print a picture that each of us dedication. This July 12, I was particularly spoiled as many friends from Moscow came to visit me in the morning and we were able to exchange a few videos together. I also received a significant number of text messages, audio, video that made me great pleasure. Comparing my two birthdays celebrated in isolation, this was the second best! I think the personal messages I have received over this time. Sukhrob seems to have enjoyed his birthday also saw the energy he had all day July 14! Many of us took notes regularly throughout the trip still. All these notes will surely result in one or more books, but there is nothing on this sheet. 1) Are you still a candidate for the trip to Mars inhabited? For the real journey to the Red Planet, I’m always up! Even after 410 days of isolation in the modules Mars 500. 2) What do you think of a female presence in the team? All activities and experiences that we are in the modules are quite attainable by women. There would be no problem to have a female presence with us. A mixed team may be the subject of an upcoming mission insulation such as ours. 3) Do you think the times of each of the three phases (air fare, scientific experiments on Mars, return flight) Mission to be updated? The durations of the three phases of our work were calculated based on assumptions that may change in the future. For example, the 250-day trip are related to the propulsion system of the spacecraft (propulsion system used by the current rockets) but it can change and reduce travel time (a plasma thruster developed now could, theoretically, 39 days to reduce the outward journey). Nothing is final. 4) Do you think that the conditions of this virtual journey can have an unexpected impact on your future life ? 5) How did you manage to live together, work and relax during those 400 days and what lessons you pull for the immediate 100 days remaining ? To live, work and relax together for 400 days, we tried to respect and tolerate habits. In addition, we discussed quite often in our respective countries and helps to better understand how others work or live. The main lesson that we use every day is to always stay busy. We kept a day / night rhythm fairly regularly (midnight sunset / sunrise 8) even if some of us do not balk at a little nap in the early afternoon. We have no access to internet from our modules, it was not until the end of our adventure so we can come to your blog. We Discussed your suggestion to start a countdown and A Few days ago we Decided to start it only 10 days before the end of the mission. 120 days Is Still too long. Our international crew allow us to hear or speak a lot of languages. We Could Learn Chinese, Italian, Español, Russian, French or Français. However, everybody Focused on Improving Their efforts historical skills in the two official languages of this mission: Français and Russian. Я ещё плохо говорю на Русском, но немного лучше понимаю. The Easiest languages to study for me and are adverse Français Because I know ’em from school. In our panel, we are currently at 20 million kilometers from Earth. The blue planet is still far. It is entirely possible to combine « a mission like ours » followed by a real space mission. 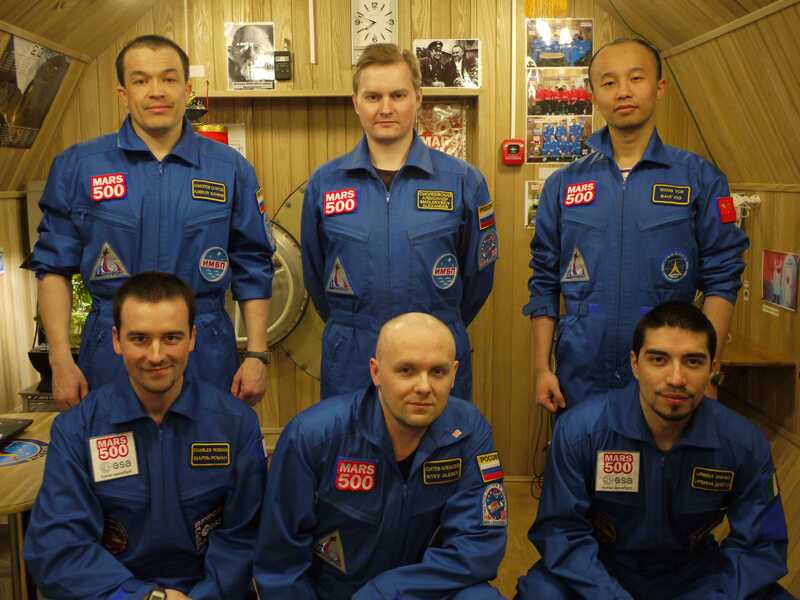 In fact, I recently learned that the two cosmonauts who participated in March 105 (mission insulation 105 days – see website of the ESA) were selected to spend six months in the international space station. I wish you a very good summer vacation (for those who take it) and I tell you soon!